Complete your virtual pilot’s controller setup and take flight simulation reality to the next level with the Saitek Pedals. 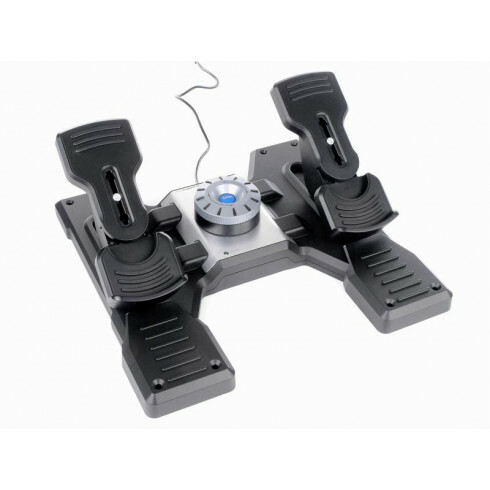 Control the rudder and toe brakes of your aircraft with your feet - just like real pilots. Adjustable, smooth action gives you optimum control and realism. With resistance and damping the way you want it, these pedals bring you even closer to the experience of flying a real aircraft.